ALLEGRA BOVERMAN/Staff photo. Essex: Essex firefighters put out three separate brush fires that grew from controlled burns at 32 Haskell Court in Essex on Tuesday. 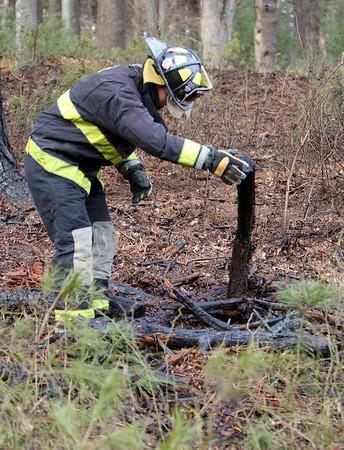 FIrefighter Edward Neal overturns logs from one of the piles to make sure every surface gets saturated with water.